"This is the day which the Lord hath made; we will rejoice and be glad in it" (Psalm 118:24). Today is a great day and a wonderful day to be alive! Begin your day today and everyday by reminding yourself that today is a great day to celebrate life. Begin to encourage yourself whether you are up or down. Begin today because; if you are up and you begin to make a habit, a pattern of loving your day and being glad that you are in it you will be able to sustain yourself when times are tough. If you are down today do not think that it is to hard to begin to encourage yourself. There is no better way to prove the Word of God than to watch it begin to take hold and see your life change before your very eyes. King David in the old Testament took his men into battle came back home after a great victory to find that all of their homes had been robbed and burned. All of their wives and children had been take prisoner. All of his faithful soldiers trusted his leadership; but in that day, as they mourned the loss of their families, they decided to take it out on David. David was down and ready to quit but he encouraged himself in the Lord and the Bible says that God spoke to him and told him that if they would pursue after them that they would catch up to them and overtake them. God told David that if he would listen to His voice and follow Him, he would cause his enemies to be destroyed and they would recover all that they had lost. The Bible says that David arose and stood before the people and told them all that God had told him. They arose and did what God said to do and they overtook the enemy, destroyed them, and took back all they had lost. They received back all they had lost. Today as you begin this new or continued positive reinforcement in your life, tell yourself “I am created in the image and likeness of God. God loves me. He loves me when I am doing good and he loves me even when I make mistakes. God loves me and sends His ministering spirits to minister to me in my times of needs. I am filled with the Holy Ghost and my heart takes delight knowing that I have a direct line of unbroken communication, an unbroken fellowship with the Father. Jesus came to this earth and made a perfect way for me to personally go to the Father in and through my covenant with Him. It is His covenant with the Father that allows my covenant with Jesus to be effective at the throne. Jesus broke down the wall of separation and clothed me with His Robe of Righteousness making me in perfect condition to be able to boldly go before my Father in Heaven. I can now have fellowship with the Father with full assurance that I can say, "I am worthy to honor you, Father. I praise you, Father, and worship You for You are God, creator of all things in Heaven and Earth and all that is in them." We must know or learn that this is a proper and right fellowship. The scriptures say, "If ye be in Christ then ye are Abrahams seed and heirs according to the promise." We are heirs of God and joint heirs with Jesus Christ the Righteous. We are the Righteousness of God in Christ Jesus. The scriptures accurately report that to have God’s Spirit dwelling in my heart brings me assurance that I can hear the voice of the Good Shepherd, and because His Words abide in me I have confident trust that I will follow Him and a stranger's voice I will not follow. I know the Holy Spirit dwells in my heart and speaks to me. 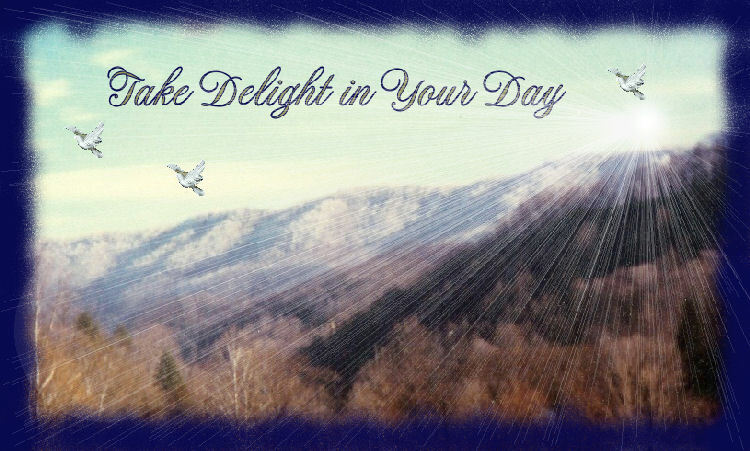 I take delight and full assurance that today I am walking in and with the Spirit of God. I will continually renew my mind with the Word of God. I know that because I am willing and obedient I make myself to be prosperous and have great success in all I do. You can receive the promises that are in God’s word. God says in the scripture that He is God and He cannot lie. We can trust; we can have faith to believe God at His Word. You can be reassured that you hear the voice of the Holy Spirit because Jesus instructed us that He will be a witness of Him. He will only say things or give instruction to you that are in God’s Word and always within the boundaries of the Teachings of the Bible, Old and New Testament, Jesus’ teachings, Paul’s epistles. They are all important and will provide an accurate guide throughout your entire life. You will walk uprightly before Him with nothing missing knowing fully that whatsoever He promised He will also fulfill. I pray that today you will have a hunger and desire to learn of the ways of Christ. I pray that you will gain understanding what Jesus means when He says. "If you will follow me then you will be my disciples."